This year the Formula 1 Australian Grand Prix is on between 14 to the 17th of March 2019 . So in the race towards the big date, we’ve prepared a checklist to ensure you get off and running without a hitch. 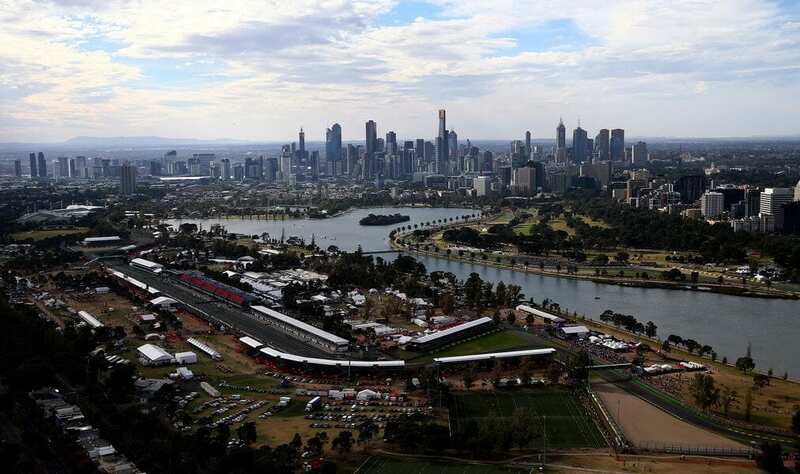 The Melbourne Grand Prix is one of the biggest events on Melbourne’s sporting calendar and opens the FIA Formula One season with the first wave of the checked flag on March 17th 2019. It’s the oldest running motor racing competition held in Australia. The race ran for the first time in 1928 in Phillip Island and moved to Albert Park in 1996 after 11 years in Adelaide. That means that this year the event is celebrating its 20th anniversary in Melbourne. Over 100,000 F1 fans are expected to converge on Albert Park for the thunderous roars of the V6 turbo engine. Having heard fans’ cries for a revival of the ear splitting sounds of 2 years ago, noise is set to peak up to 25 per cent louder this year, adding to the excitement. There is a stack of ticket options, from Corporate & Hospitality to Premium Zone, General Admission and Grandstand. Order your tickets with plenty of time for delivery or pick-up. And while it seems obvious, don’t forget your tickets on the day. A lanyard is a great way to keep your tickets close to you at all times. There are two big drawbacks to buying food at events – the price and the queues. Why not pack an esky or at least pop a drink and some snacks in a backpack? Guests at Holiday Inn Melbourne on Flinders can grab a value lunch box from reception. With engines set to break the 1000 horsepower barrier it’s more important than ever to protect your ears and hearing. Pick up some earplugs from the pharmacy. They have a range of earplugs to block out sounds at various decibels. Ask your pharmacist which ones they recommend. View the circuit map and take the time to familiarise with the entrances, track, various zones and facilities. Plan your day including your arrival time, gate and posi. Portable batteries for smart phones and cameras come in super handy at big events. No doubt you’ll be snapping away with all the amazing photo opportunities, and there’s nothing more frustrating than a flat phone before the end of the day. All the action from Albert Park is broadcasted on 3AW 693 so pack a portable radio to tune in to the commentary while watching the racetrack side. It’s Melbourne. Who knows what the weather will be. Best be ready for anything. If you’re travelling from interstate, it’s a good idea to pack an umbrella and poncho in your luggage just in case of rain. Despite being autumn, the temperature could be anything from steaming hot to chilly, so check the forecast a day before, dress appropriately and have a backup jumper just in case. Even the cloudiest days can be deceiving. Make sure you pack a hat, long sleeve top, sunscreen and hat. Avoiding the dreaded sunburn is a must. Don’t forget a trusty note pad and pen. You might just spot your favourite celebrity or racecar driver at the Melbourne F1 Grand Prix. It’s the perfect opportunity to get an autograph. 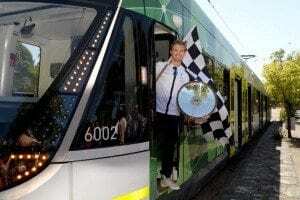 Melbourne City Council has planned a special public transport schedule for the 2018 Formula 1® Australian Grand Prix with trams, trains and buses providing a reliable service to and from the track. Free shuttle trams will be running for ticket holders from the city to Albert Park. Normal fares apply to all other public transport and require a valid Myki card, which can be purchased from Melbourne Visitor Centre at Federation Square, Premium Stations, retail outlets and Myki ticket machines at train stations. For detailed train, tram and bus information visit ptv.vic.gov.au or call 1800 800 007 (6am to midnight daily). Holiday Inn Melbourne on Flinders is the perfect place to stay. With Spencer Street Station just a few minutes walk from the hotel and trams right at the doorstep, getting around is easy. We offer a number of great accommodation packages and hotel deals. Click here to browse our promotions.